Whether your personal politics lean left or right - 10% Happier has enlisted top teachers to create bipartisan meditations that can help us navigate the challenges of our increasingly polarized world. Today’s political language is harsh and inflexible, and the volume keeps increasing while neither side is really listening. Mindfulness is a practice of of deep listening, and can be used to decode language without resorting to knee-jerk reactions. 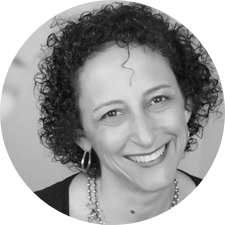 Pamela Weiss is the Founder of Appropriate Response, a company dedicated to bringing mindfulness to the workplace. She has been practicing meditation for over 25 years, including several years of Zen monastic training, and completed her teacher training with Jack Kornfield through Spirit Rock. She lives in San Francisco and teaches internationally. It's often hard to remain engaged with the political maelstrom without quickly burning out. THis meditation helps us build the resilience to remain engaged despite difficult emotions. Dr. Jay Michaelson is a lawyer, a rabbi, a legal/religion columnist for the Daily Beast, an LGBT activist, a professor, and an author of six books. Yet despite his staggering number of day jobs, Michaelson has also found time to intensively practice and teach meditation. It's easy to become addicted to the constant stream of information coming at us from the 24-hour news cycle, social media, and our own desire to be informed. This meditation helps us take a break from information overload. From Comparative Religious studies at McGill University to refugee camps in Guinea, Sebene Selassie's career has taken her all over the world. She has now survived breast cancer three times and works as a meditation teacher and transformational coach in New York City.